As smartphones become more and more ubiquitous in today’s world, questions arise as to how they affect mindfulness. For example, a few years ago the Huffington Post published an article entitled “Mindfulness vs Smartphones” pitting the two against each other. Regardless of how you feel about that article, some clearly believe that smartphones are an enemy of mindfulness. Rather than treating smartphones and mindfulness as a false dichotomy, we can use our smartphones as a tool to aid our mindfulness practices. Smartphones can help teach us mindfulness as well as enhance our practice, as long as we are thoughtful about how we use our smartphones. Here are the top 20 mindfulness apps for meditation, eating, awareness and other aspects of mindfulness. The first app we will look at is a mindfulness training app, so that even the absolute beginners amongst us have an idea of where to start. The Mindfulness Training App is just what it sounds like, an iOS app meant to train you in mindfulness. You can begin with two free meditation courses and buy more if you choose to. The first free course (“The Mindfulness Revolution”) consists of six guided meditation sessions as well as some additional reading in the form of an interview with Jon Kabat-Zinn and Tami Simon. The second free course (“Mindfulness in Motion”) consists of five short talks about meditation as well as a nearly 40-minute video demonstrating some mindfulness exercises. These apps will help you establish a daily mindfulness practice if you have no idea where to begin. Establishing a daily practice is a good way to build a mindfulness habit, and before long practicing mindfulness will come naturally. Whether you have an iPhone or Android phone, and whether you’re looking to spend some money or none at all, these apps should help you. Mindfulness Daily is an iOS app which costs $1.99. It aims to help you establish a daily mindfulness practice by urging you to practice mindfulness for a few minutes in the morning, a few minutes in the middle of the day, and a few minutes at night. It also tracks how many days in a row you have stuck to your mindfulness routine. The Mindfulness Daily app is a great solution for someone who wants to begin practicing mindfulness but does not know where to start, by offering a rigidly guided routine to stick to. The Headspace app is an iOS and Android app which guides you through daily meditation 10 minutes at a time. 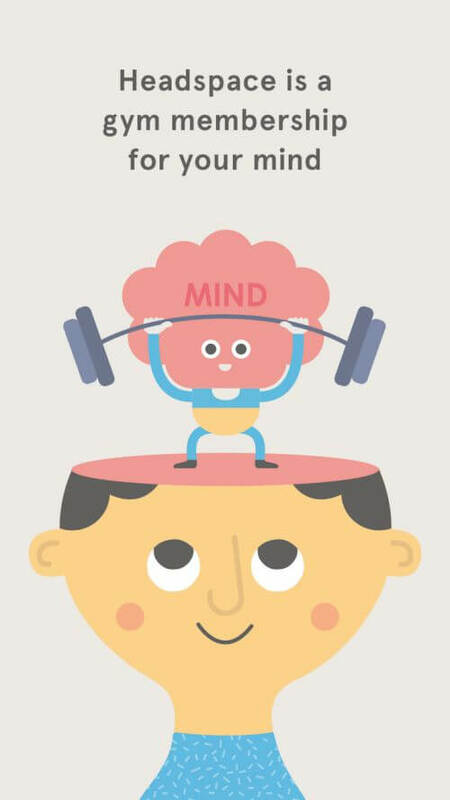 Headspace aims to be your mindfulness “personal trainer” in helping you establish a daily practice no matter what your knowledge of mindfulness is. It is possibly the most popular meditation app, and part of this is because it is free to try. After the first 10 days, however, you will have to start paying either $12.95 a month, $95.88 a year, $149.76 for two years, or $419.95 for a lifetime subscription. While the fact that you eventually have to pay for a subscription might turn some people off, you have nothing to lose by trying it for free. The Mindfulness App: Meditation For Everyone is a free iOS and Android app which aims to help people fit mindfulness meditation into their lives. 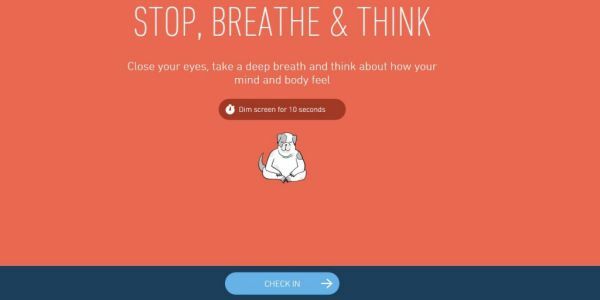 The app offers guided meditation sessions ranging from three to 30 minutes, and it tracks how many days in a row you have gotten a meditation session in. While you start with one month of free access to their premium library, after the trial period you either have to pay $59.99 for the premium library or $0.99 for each meditation session individually. Calm is a free iOS and Android app that offers guided mindfulness meditation. The app initially offers a “7 Days of Calm” course which introduces you to mindfulness meditation, as well as some guided and unguided meditation sessions. You can subscribe to Calm to unlock all the content (more multi-day courses, a “Daily Calm” course, and more guided meditations) for either $12.99 a month, $59.88 a year, or $299.99 for a lifetime. There is plenty of free content, however. Calm is a good solution for people who want multi-day courses they can follow rather than less-organized individual sessions. Stop Breathe and Think is another iOS/Android/Web app that is free with the option to buy more meditations. It offers you the chance to check in for a few minutes whenever you can to fit a little mindfulness into your schedule. First, the app asks you how your feeling, then you can choose a meditation which you have time for. Stop Breathe and Think is a good option for people who do not think they can fit mindfulness into their schedule but want to start doing so. These apps are meant to help people start eating in a mindful manner. 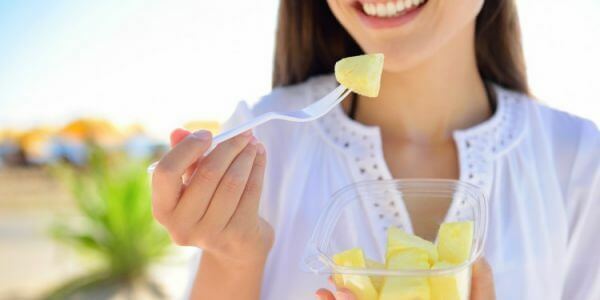 Mindful eating can help us make sure we develop or maintain healthy eating habits, even if we have never considered the role of mindfulness in eating. The following apps will help you eat in a more mindful manner, though they each cost just a little bit of money. In The Moment is an iOS app developed by a nutritionist which aims to help people with mindful eating. You are supposed to use the app when you are feeling hungry, and the app will help you decide if you are actually hungry or if something else is going on. The idea of In The Moment is to build healthy habits which can help avoid unnecessary eating as well as help you recognize when you are actually hungry. It costs $1.99 and can help people approach mindfulness from a primarily nutritionally-based approach. Mindful Eating Tracker an iPhone app that aims to help you track your eating and drinking throughout the day, as well as your satisfaction with and enjoyment of those things. The app then charts these measurements so you can easily track how you feel. The app costs $2.99 and is a good solution for people who like tracking their habits to see how they are affected by them. Think of the Mindful Eating Tracker as an eating notebook that lives in your phone and visualizes your habits automatically. Am I Hungry? is another app dedicated to mindful eating for both iOS and Android. Whenever you want to eat something, you tell the app and then it walks you through the mindful eating process, which includes asking why, when, what, how, and how much you want to eat. The app costs $2.99 and serves as a companion (though also as a standalone) to the Am I Hungry? Mindful Eating Programs and the Eat What You Love, Love What You Eat book series. This app can help you learn about mindful eating regardless of your knowledge level. These apps offer mindfulness meditation guiding sessions as well as tracks which may be helpful for practicing mindfulness meditation. They do not have as much training included as some other apps but can be very valuable for people looking for some variety in their mindfulness meditation sessions. Even if you are a beginner, though, you might find these apps helpful if you sometimes find the voices in guided meditations distracting. 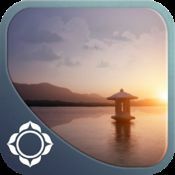 Mindfulness Meditation is an Android app developed by a clinical psychologist which helps people with their mindfulness meditation sessions. The app costs $1.99 and comes with two audio tracks for meditation. You can also set an “intention” for your meditation session to help define it, which the app will remind you of throughout your session. The app is great for doing what it sets out to do, but some might find it limiting as it only comes with two audio tracks. Simply Being is an iOS and Android app from the people who made the Meditation Oasis podcast. It costs $1.99 and offers a customizable guided meditation experience. 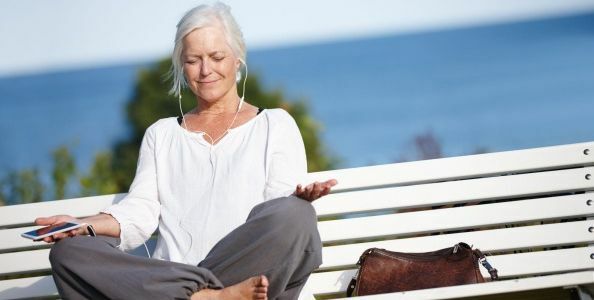 You can either set it for 5, 10, 15, 20, or 30 minutes, and then you can choose to meditate either with a guiding voice, with nature sounds and music, or with both. This app is a good option for people who want guidance to start meditating, and users can later customize it to fit their meditation practice once they have figured out the basics. While it is an excellent app, some might be turned off by the fact that there is no free option. Take A Break! is another iOS and Android app from the Meditation Oasis podcast. It is very similar to the Simply Being app but offers two more guided meditations. People who enjoy the Simply Being app should give Take A Break! a try, as it is free. This also means that Take A Break! is a great free alternative to the Simply Being app for people who want to try out the Meditation Oasis podcast’s apps without spending any money. Omvana is an iOS and android app (as well as a web app) which connects you with all sorts of meditation tracks. It can be downloaded for free and includes several tracks which are completely free, while others can be bought. These me ditation tracks can range from simple meditation music to fully-guided meditation tracks. Omvana is a good solution for people who are not sure if they want to spend money on a meditation app, as several different tracks can be sampled for free. 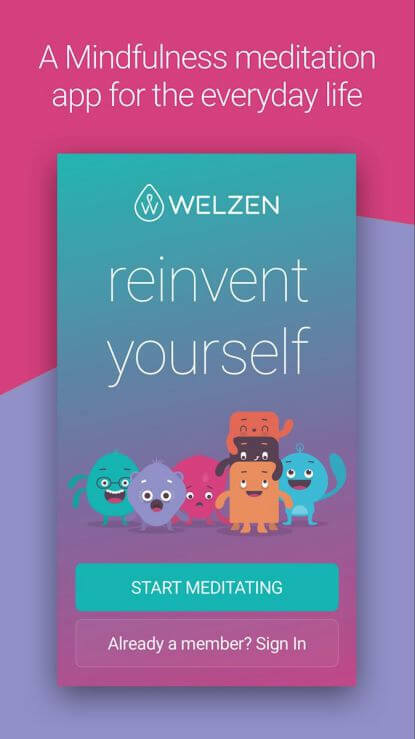 Welzen is a free iOS and Android app which covers several aspects of mindfulness meditation, beginning with a 5-day training course. After that, the app offers guided meditation programs as well as individual guided mindfulness meditation sessions. They even offer a meditation for kids option which has guided meditation sessions specifically for kids. “Premium” meditations can be accessed with a subscription that costs either $9.99 a month, $59.99 a year, or $149.99 for a lifetime subscription. While those subscription costs might look steep to some, there are several free aspects of the app that can be sampled before having to spend a dime. These two apps are mindfulness apps specifically targeted at a group of people (in this case, mothers/parents and soldiers/veterans). 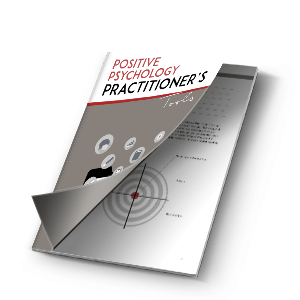 The teachings can be helpful for anyone, but the targeted groups might find them more helpful than general apps are. These apps also show that people are starting to figure out the wide range of individuals that can be helped by mindfulness teachings and practice. Quility is a free iOS and Android app that claims to present “mindfulness for mothers”. It offers guided mindfulness parenting sessions as well as mindful eating sessions and other tools for mindfulness practice. The app is free to start but more content can be unlocked for $8.99 a month or $39.99 a year. It is primarily aimed at teaching mindfulness to mothers but any mindfulness practitioner can find value in Quility, especially because it is free to try. “reducing stress, improving emotional balance, increasing self-awareness, helping with anxiety and depression, and coping more effectively with chronic pain”. It is intended to be used by soldiers and veterans, though others might find it helpful as a way to learn mindfulness. These apps can serve as aids for people who already know how to practice mindfulness and meditation but are looking for apps which can simply help their practice rather than offer guided sessions or training. This includes reminder apps, timer apps and one app that simply serves up musical tracks for people to practice mindfulness meditation with. If you feel like you have a pretty good handle on mindfulness, these apps might take your practice to the next level. Relax Melodies is an iOS and Android app which provides background music for you to practice mindfulness meditation on your own. There are no guided meditations, as the app only provides backing tracks. It is completely free, though, making Relax Melodies a good choice for people who already know how to meditate but are looking for something to accompany their mindfulness meditation sessions. It may also be useful for any mindfulness practitioners who are more musically-inclined. Insight Timer is a free iOS and Android app which aims to aid mindfulness meditators by letting them set their session time and be notified once the time is up. 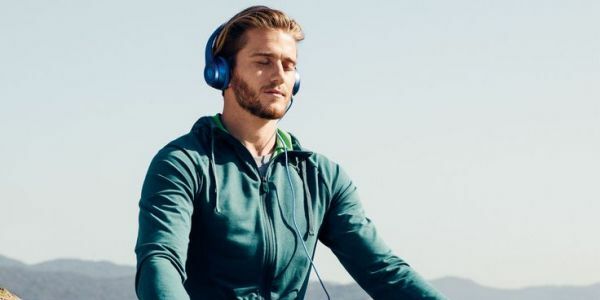 Like Relax Melodies, it is mostly aimed at more experienced meditators, however, the Insight Timer app also offers some guided meditation sessions. Meditators might prefer it to a regular timer, as you can choose an alarm sound which will gently let you know that time is up rather than notifying you with a more traditional jarring alarm sound. These apps will remind you to practice mindfulness throughout the day, for those of us who just need a little bit of a nudge. Remindfulness is an iOS app which aims to remind you to be mindful throughout the day. The app comes preloaded with quotes related to mindfulness, though you can add your own quotes. You can customize the frequency of reminders as well as what sound the app reminds you to be mindful of. Remindfulness costs $2.99 and can serve anyone who needs a reminder to practice mindfulness. Just Be is an Android app available from Google Play for $0.99. Like Remindfulness, it lets you add your own mindfulness quotes and you can choose how often the app notifies you. Just Be does not seem to come with any preloaded quotes, though it is highly customizable and seems to be a good solution for people who want to choose how they are reminded to be mindful throughout the day. If you are dedicated to mindfulness, your smartphone does not have to be an impediment to your practice. As we have explored above, there are a variety of apps that can help teach you mindfulness if you are unfamiliar with it, practice mindfulness if you do not have a regular, consistent practice already, or even just make your mindfulness meditation sessions a little bit more effective. 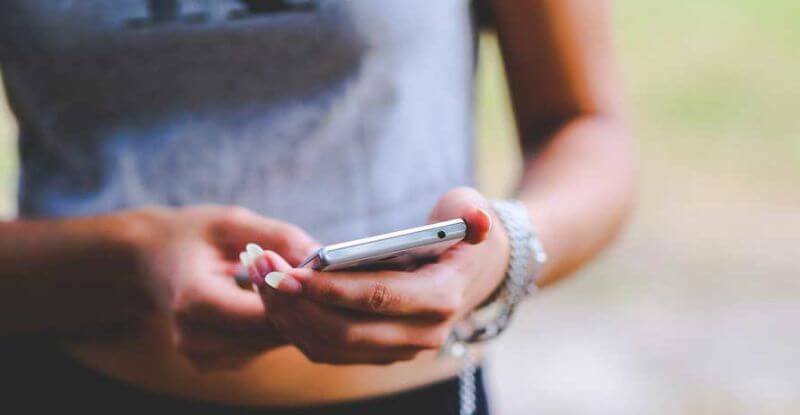 If you are intentional about your smartphone usage, you might even find that your smartphone can be the most helpful mindfulness tool of all. “Hi, in my opinion Mindfulness means maintaining a moment-by-moment awareness of our thoughts, feelings, bodily sensations, and surrounding environment.